Have fun while challenging yourself! Do you want to experience a new way to get in shape? Do you want to meet new friends and have fun doing it? You find that your workout regimen is getting stale? Then mix things up and try my outdoor boot camp class. I guarantee that you will have fun! I may be best known for running the most challenging boot camp in Montreal, and for good reason! My boot camp classes were created for those who need the extra boost to achieve their fitness goals... Each boot camp class is designed to meet any fitness level, so do not worry that you can't handle it...anyone can take part! I will supply you with everything you need to get in shape. My boot camps can be done anywhere! You don't need an expensive gym membership to get back in shape, nor any equipment. Let me show you how armed only with a strong desire to succeed you can achieve your fitness goals and stay fit. 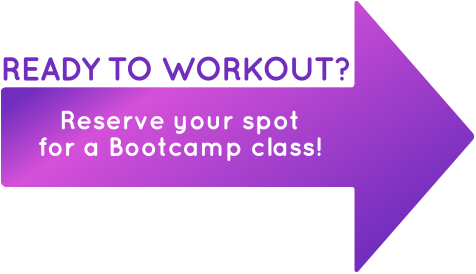 Reserve your spot for a Bootcamp class!